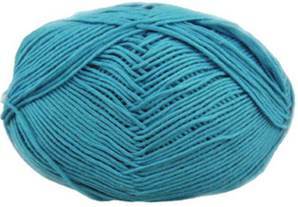 King Cole Bamboo Cotton DK knitting yarn 531, Peacock in bright turquoise. Breathable and practical blend of 50% cotton and 50% bamboo with a soft sheen, knits to any DK pattern. Machine washable at 30'. 100g balls, 230m.